Remember the “Mighty Men” who were King David’s warriors? If you don’t, click here for a learning opportunity. The Mighty Men served with bone spurs and served so courageously that they never felt any pain. If we sit and think about the state of the world, we may well become very depressed; then let us get to action in our small corner of the world. We may sometimes despair of the Church; then let us get to action in our small part of the Church. Professor Barclay, the biblical interpreter for the common folk and the scholarly. It is all to easy these days for even the most steadfast people of faith to become depressed to the point of hopelessness and despair. The world seems to be coming thoroughly undone sometimes, although, I have to say it has seemed like that to every generation since the Garden. I still have many of The New Daily Study Bible volumes written by the great Scottish Professor William Barclay (1907-1978), with hundreds of dog-eared pages and sections I’ve practically painted with highlights from markers. Barclay’s mission in life was to interpret every book of the Bible with such vivid clarity as to reach the so-called common people — the “unscholarly” Christians. His genius was that he managed to do that while winning over the high-browed scholars. 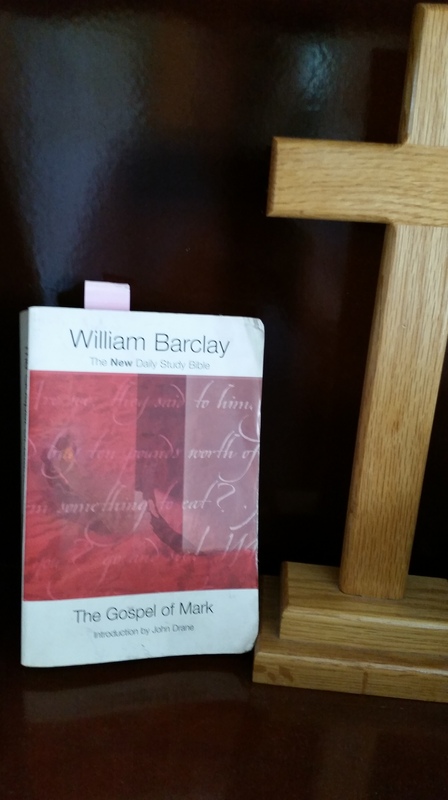 I’ve been steeping myself in the Gospel of Mark lately for a writing project and could not resist the urge to go back and read Barclay’s The Gospel of Mark study guide. With that introduction, I’ll share with you what Barclay had to say about the dad who sought healing for his son. How did he meet the moment of despair? “Bring the boy to me,” he said. When we cannot deal with the ultimate situation, the thing to do is to deal with the situation which at that moment confronts us. That is the way to avoid despair. If we sit and think about the state of the world, we may well become very depressed; then let us get to action in our small corner of the world. Jesus did not sit appalled and paralyzed at the slowness of people’s minds; he dealt with it with immediate action. As I said in the conclusion of my book The View From Down in Poordom, it’s all to easy to get overwhelmed by the despair that is poverty in the world. It’s also easy to get overwhelmed by what God expects of us in alleviating that poverty. God expects a lot and then some from those of us to whom much has been given. Rather than just handing out cans of food at the food pantry with a smile and a “God bless you” — which is good as far as it goes — take a little extra time to make one or two or ten new friends there or wherever the needy may be found near you. *Barclay, a self-described “liberal evangelical,” will always be controversial because he believed strongly in universal salvation, because of his pacifism (“war is mass murder”), and for his skepticism about the Trinity. Even though many conservative evangelicals and fundies denounce him as a heretic hate on him and his personal legacy, many of those same conservatives give him his due grace, like the conservative author at this link. It’s an interesting take from the conservative tribe. The United States took over Puerto Rico in 1898. 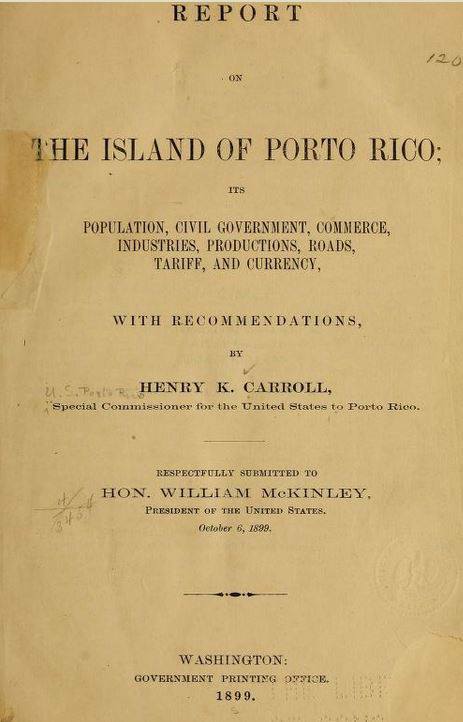 Recommendations to President McKinley for the takeover of a once self-sustaining nation by Henry K. Carroll, special commissioner for the United States for Porto Rico. 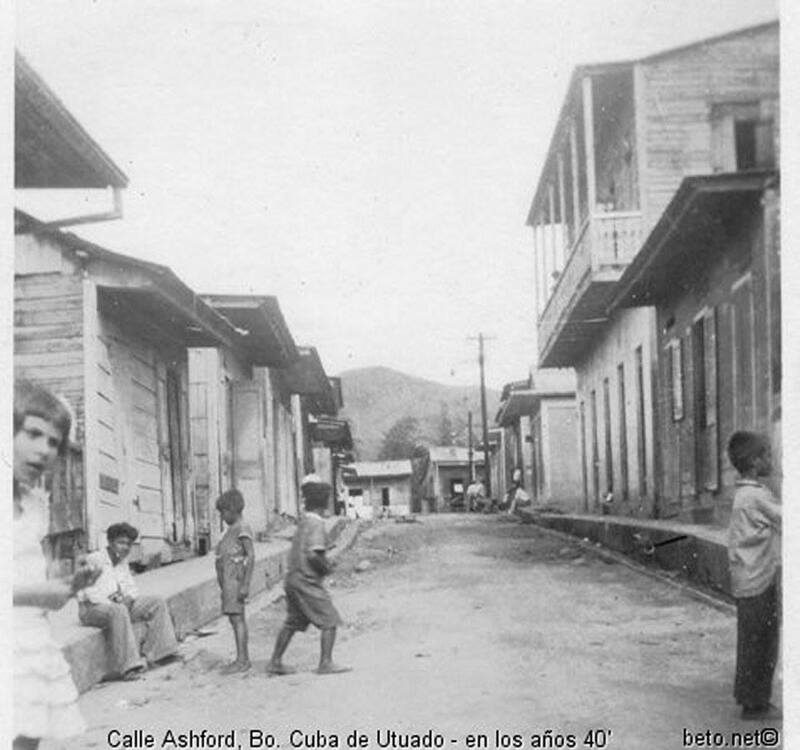 In 1898, “Puertoricans” were completely self-sustaining with an economy based on agriculture. Forty percent of the of the land in the U.S. colony was devoted to coffee, 32% to growing food for local consumption, 15% to sugar and 1% for tobacco. Over 90% of the farms and agricultural resources were owned by local Puertoricans. You read that right: more than 90 percent of the agri resources were owned by local bloods at the time the U.S. came in and began its corrosive exploitation. Fast forward to 1940. By then, 80% of all farmland in P.R. was owned by large corporations or landlords with 500 acres or more. In the wake the Great Depression, Puertoricans were a welfare nation, thoroughly poor and entirely dependent on the U.S.for survival. To add insult to injury, Spanish on the island was banned and English became mandatory. Puertoricans were treated by their lords like mongrels, which is what they were called by those who lorded over them. 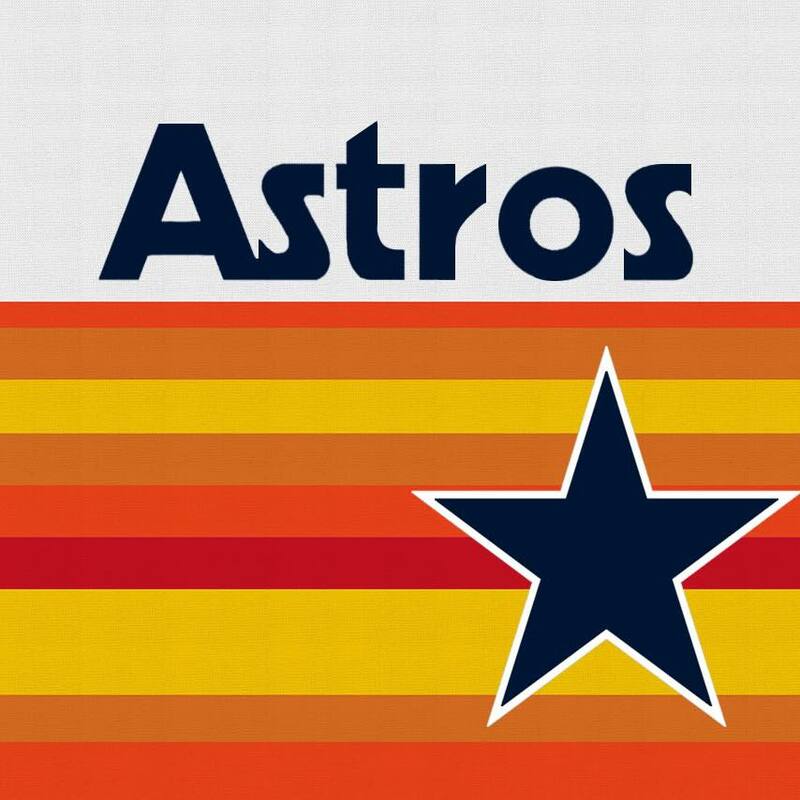 And then… well… you get the picture. * These facts were culled from an article in Counterpunch by José M. Tirado, a Puertorican poet, Buddhist priest and political writer. 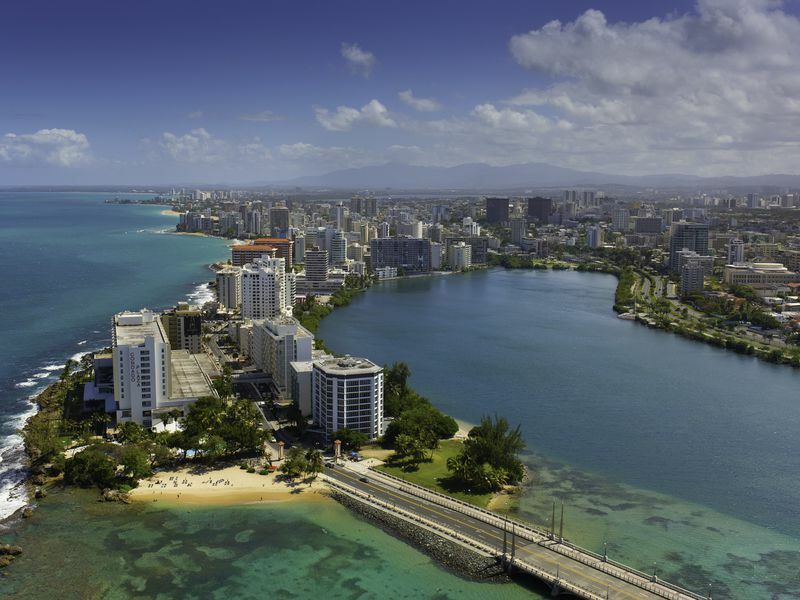 You can learn much more about the history of P.R., and about resistance movements, too– by clicking this link. Like crossing the street, driving in Belize is a treacherous undertaking. Belize me. If you’re planning to vacay in Belize and rent a car, or planning to move here, you should know a few things about Belizean drivers. 1. Belizeans don’t know how to drive. 2. The worst drivers are the police, who don’t patrol in their big pickups in pairs, but in fours or even sixes or eights. Police here have designated drivers and only they can drive the big pickups. I’ve heard, and I Belize it, that some of the police drivers have never had driver’s licenses in their lives. 3. It is never a good idea to honk your horn and flip off the police when they almost run you off the road. 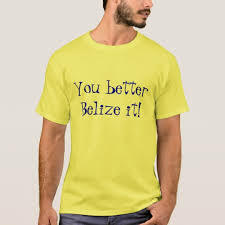 A dear Canadian expat friend once did that when he first moved to Belize. Harsh, immediate justice for that offense was brought to bear on my friend on the side of the road. 4. This is important information to have about how Belizeans make turns. First, a Belizean will check to make sure the blinker is OFF. If making a right turn, the Belizean will abruptly swing in arc motion to the left before righting the vehicle. If the Belizean is not a policeman in uniform, go ahead and honk and flip him off if it makes you feel better. Chances are good you won’t get hurt. Unless the driver is an off-duty cop. 5. If the Belizean driver in front of you is making a left turn, he almost assuredly will turn in front of oncoming vehicles at high speed to avoid a collision. He might turn on his right blinker before making the left turn just to confuse everybody behind him and in front of him. Indeed, in Belize, if you totally ignore a STOP sign or YIELD sign and a police pickup up loaded with eight cops is right behind you, don’t worry about it. You won’t get beaten. You won’t even get a ticket. You’ll just get passed by the police who are likely in a hurry to go for one of their 10 breaks a day for tacos. 7. You shouldn’t be shocked if you see cops in Belize drinking copious amounts of beer at their taco shacks. I’m still shocked to see it sometimes, but the thing is, I shouldn’t be after five freaking years here. Ignore one-way signs and hope for the best. 9. If you’re a pedestrian crossing the street in Belize and you’re a non-believer who never prays, you might want to pray anyway. It’s also a good idea for any pedestrian to have their will on their person. 10. Many lonely roads on Belize’s dark nights have potholes in which an untold number of drivers have driven into unsuspectingly, never to be seen or heard from again. I’ve been told that these holes in the roads will drop you into China. 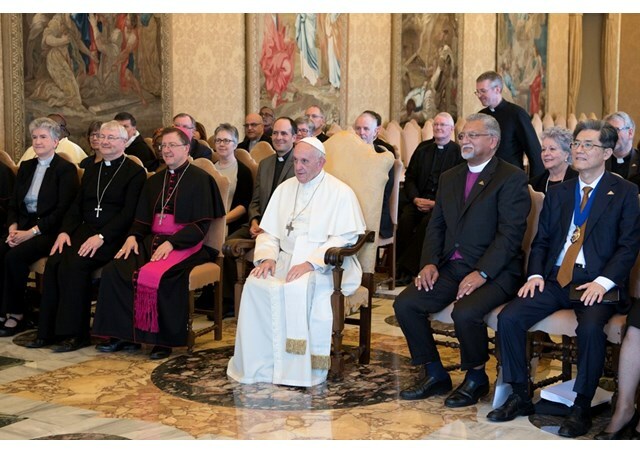 Leaders from the Roman Catholic Church including Pope Francis met with leaders from the worldwide Wesleyan Connection. As a Christian whose spiritual DNA is pure Methodist, I was thrilled to see that Pope Francis met with Methodists from around the world yesterday. The occasion was the 50-year mark of Methodists and Roman Catholics seeking common ground through dialogue in spite of serious theological differences. Pope Francis noted that the words and example of my spiritual grandfather (Saint?) John Wesley and his brother Charles brought many people to Christ. But that doesn’t mean I don’t admire much about the church, especially Catholic spirituality and tradition. I’ve been on more Catholic spiritual retreats at abbeys and monasteries than many devout, practicing Catholics I know. I don’t care what the loon Trump supporter and leader of First Baptist Church in Dallas says about you, my Catholic brothers and sisters in Christ. I once wrote a concise, two-page paper in seminary about “My Top 10 Christian Heroes,” complete with my reasons for internalizing their theologies in developing my own theology. Pope Francis took his papal name from Saint Francis, another faith hero of mine. See a wonderful review of my book — written by a most grace-filled and fair-minded atheist! — below, along with links to buy it. And of course Pope Francis himself has been added to the top of my list. With as many enemies and harsh critics as he’s fired up in his utterly Christ-like leadership, he’s doing something right. Which isn’t to say the Pope hasn’t made mistakes with his plainspoken and easy-breezy-going tendencies. He’s a leader who knows who he is, knows what he wants, and understands to the fullest extent that the radical-love Christ Jesus himself never said be nice and don’t be rocking old, tradition-made boats. No, Jesus never said play nice and don’t rock the boat, nor did any of the Apostles for that matter. Which isn’t to say they were never kind. Big difference in that and nice. Very nice people can be very cunning and passive-aggressive. The churches are full of them and they have a tendency to make life miserable for clergy who teach and preach the Good News of Jesus Christ, News that Jesus delivered in uncompromising language and actions. The Christ-like John Wesley made so many enemies and shook up so many good Christians in his day that he and Francis actually have much in common. One common thread is the radical commitment to advocacy for, and care of, the poor and powerless people of the world. Pope Francis loves the poor and marginalized and wants them to be of first concern to every powerful business and political leader in the world. Wesley wanted the poor and powerless thought of and lifted up at every turn as well. Long may their teachings be heard and stories be told. * I’m extremely grateful to Jim Barlow, who like me is an old graybeard ex-newspaper scribe, for the following wonderful review of my book. He very well articulates the entire message I wanted to convey in the book, which is illustrated by my friend the retired United Methodist pastor Keith L. Head. And like me, Jim is a sixties rock and roll lover who gets extra kudos for working in a reference to a Grateful Dead classic in the review. Diving into a book centered on Bible scriptures and commentary on the poor and poverty today was intimidating. While I learned a lot about right and wrong from my childhood exposure to religion, as an adult I have chosen atheism, but with the understanding that religion for many is truly a worthy guiding light. A disclaimer: McKay is a friend. At one time we were journalists with the same employer. He turned into a Methodist minister. How do Christians today respond to the poor? That’s the big question of McKay’s book, which runs just 83 pages. The way McKay presented his chosen scriptures and translated them to fit today’s world was superb and intellectually educational. However, I read the book with a broader view. This book need not apply only to Christians. In this world of growing income inequality in the aftermath of the Great Recession, McKay is asking us to re-evaluate who we are. McKay tells of his own background and how family experiences shaped his thinking and led him into the ministry. He gives us a framework for considering suffering and poverty, especially in Belize, where he now lives. In Chapter Two, we meet Francisco, whose story became known because McKay took the time to talk with him. Once a hard-working man, Francisco was left destitute and on the streets because of an accident that wasn’t his fault and cost him both legs and livelihood. His ultimate fate was heart-breaking. Later, we meet Chanzy, who McKay stopped to help when he saw him resting against a broken-down car, crying. McKay calls upon the Bob Dylan song “Everything is Broken” to shape his story about both Chanzy’s life, which was one of poverty and strong spirituality, and similar situations confronting all of us. Chapters Six and Seven deliver the punch of McKay’s message. Chapter Six tackles the notion, often used by politicians, put forth by the apostle Paul: “Anyone unwilling to work should not eat.” McKay addresses the “troubling aspect of acrimony over who should provide for the poor and struggling people,” taking on politicians, corporations and Christians, as well. He hits on our consumer-oriented culture and political and religious scapegoating. Chapter Seven addresses personal responsibility and calls for honesty about how some poor seem to take comfort in their poverty. McKay tells the story of a minister who struggled with a decision to refuse monetary help to an angry, young woman. Was the minister’s decision wrong, or did it plant a seed? Can we, should we, help everyone? Both chapters should be required reading, regardless of anyone’s religious affiliation, and, especially, for politicians, both liberal and conservative. 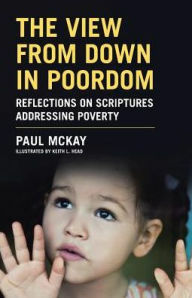 McKay provides thought-provoking nuggets about poverty (material and spiritual), about individuals and families living poor, and about the dangers and pitfalls of greed and wealth. In closing, McKay asks, “So What?” Do we as individuals give money directly to the poor, donate to food banks or shelters, minister to them or ignore them and walk away? McKay hits us on the head with the issue of poordom, but he also provides intelligent perspective that might just provide us a roadmap. McKay’s overall message, in my view, emerged in a paragraph early in the book. Go here to see the review of my book at GoodReads online available for purchase in softcover, hardcover, and electronic form at Amazon (see here), Barnes & Noble online, at the publisher’s online bookstore WestBow Press here. IN WHICH THE WHITE BOY GETS A HERNIA. I’ve never believed that God reveals God’s self to us only in the Bible, though it of course is our main source of revelation. I’ve said her before that God reveals and has revealed God’s self in all kinds of ways to me (and you too, I’d say) — in music, in movies, in photography, in books and in all kinds of creative arts, not to mention revelation through nature and loving relationships with friends and family. I have felt close to God in the soaring beauty a Mozart andante; in hearing the sad beauty of taps played at a military funeral; in stroking dogs I’ve loved — in some mean old Mick Jagger song, too. And, definitely, through the kind of blues music that gets your Jitterbug leg shaking uncontrollably. Thank you Lord for the divine gift of the blues and the release the great comedians like Robert Klein, who, in a comedy career spanning 50 years, still can’t stop his leg. Georgia state Sen. Michael Williams: the Georgia Republican is giving away the devices that converts a semiautomatic weapon into one that can almost match an automatic. Further evidence of our short little spans of attention. Never mind that experts surmised that the ban would have reduced the casualty count by maybe a small percentage in a slaughter that still would have been the worst in American history by far. 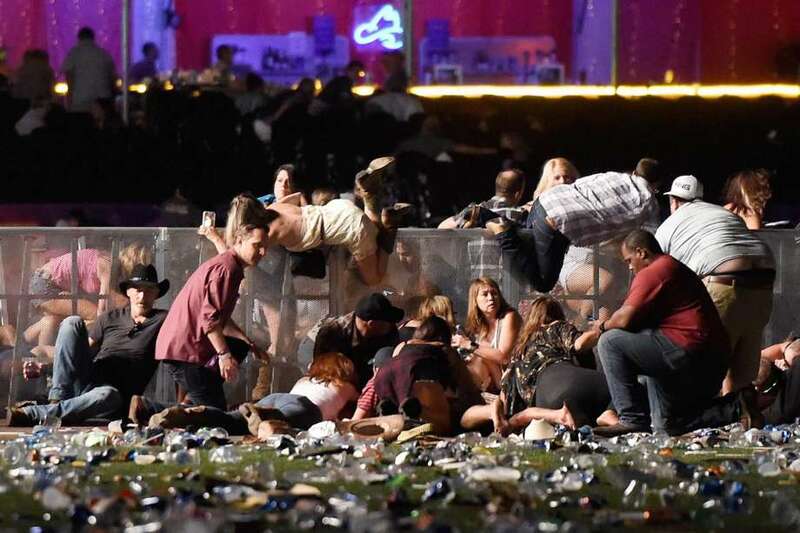 A lot of people saw this moment as an opportunity for the right and left to come together on some kind of sensible gun-control measure, however weak it may have been in curbing mass slaughters. 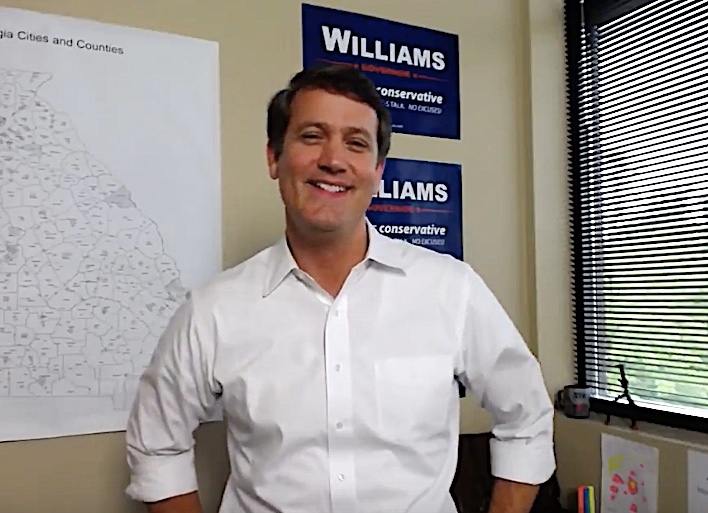 Now comes Michael Williams, a state senator running for governor in Georgia. In the most god-awful campaign gimmick imaginable, he’s giving away a rapid-fire device like the one Stephen Paddock used to kill 58 people and injure hundreds in Sin City. Of course, his “many firearms experts” work for the NRA lobby, that great American institution that employs most of the people in Congress and keeps them employed at every election. Williams said he will give away a bump stock “to one lucky winner” in a show of defiance as momentum grows for more restrictions in the wake of the Las Vegas mass shooting. Yes, some other lucky American would-be terrorist stands the real possibility of acquiring this charitable gift from the could-be governor of the great state of Georgia. I wouldn’t wish the guilt on anybody that Williams would surely feel if that possibility became a reality. Something tells me Jesus did not approve this idea. Would Jesus approve of a device and weapons that enabled this apocalyptic event?